Often you’d find people discovering themselves on the road, rewriting their definition of themselves in a way which makes them enlightened. 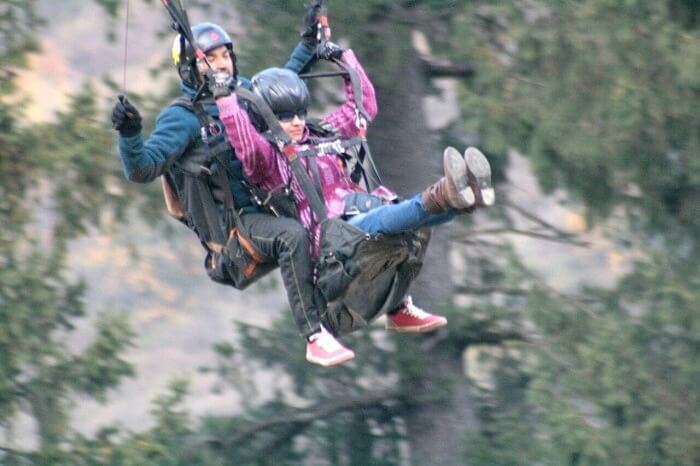 Read about Jayesh’s thrill seeking romantic trip to Himachal that pushes the boundaries of extreme adventure sports. 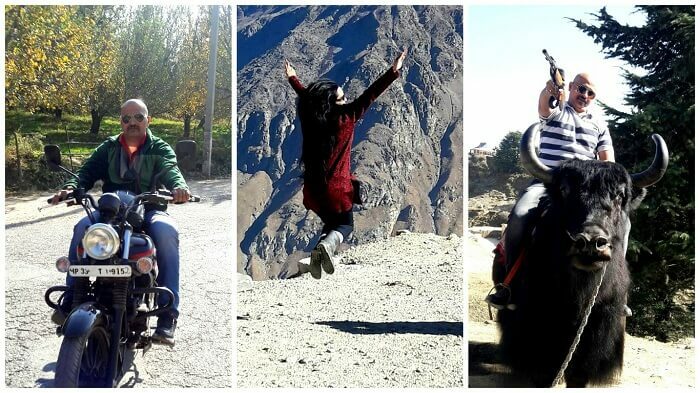 Their trip cost them a total of INR 64,000 which included their transfers, accommodation, sightseeing, and meals. Being a frequent traveler, I love traveling abroad as well as inside the country. I have traveled to USA, Indonesia, Hong Kong & Malaysia. In India, I have traveled to Kerala, Sikkim, Mussoorie, Haridwar, Gorakhpur, Darjeeling, etc. Now, we wanted to visit some destination in the north where we could see snow. 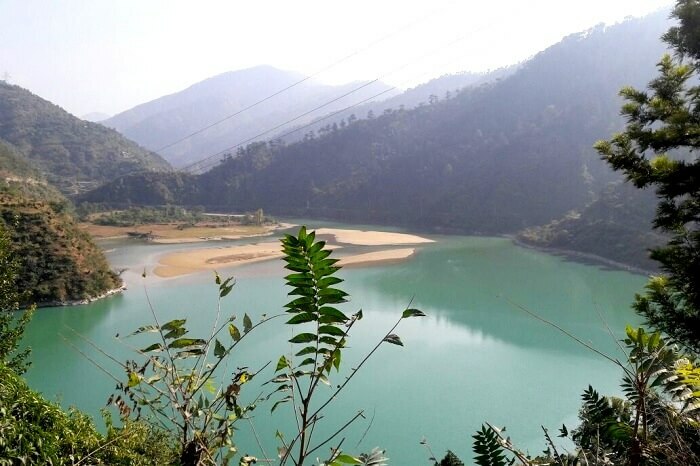 I got to know about TravelTriangle on the internet. I liked their concept of customizing the tour package according to the needs of the clients. I submitted a query for the same on TravelTriangle’s web page. I got a call from their representative who understood my requirements for the trip. Krishna connected me to various agents providing multiple offers for the same trip to Himachal. I finally selected the best offer given to me by ‘North India Tours and Travels’ agency. I live in Western India and I have traveled to two parts east (Sikkim/Assam) and Kerala with my spouse. Now I wanted to experience the north as she loves to play in snow and water. 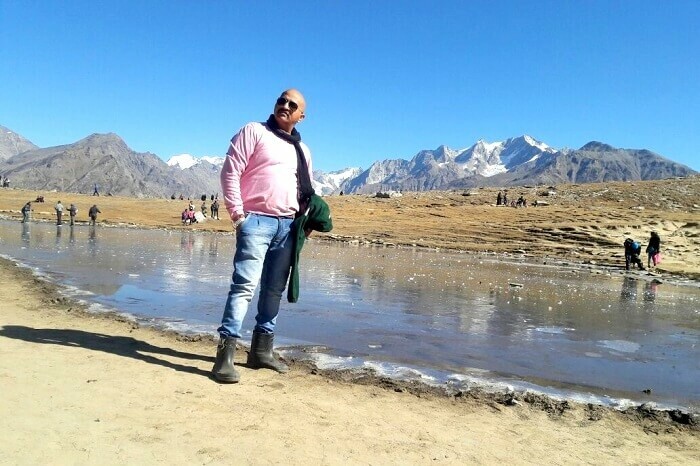 We got the former in Manali, but sadly, couldn’t enjoy snow. We arrived in Delhi early in the day and were picked by Mr. Jitu Tomar. He then took us towards Shimla through Murthal, Chandigarh, Panchkula etc. On the way we had a yummy lunch at some Vaishnav Dhaba. We reached Shimla at around 8 pm. The hotel provided to us was out of town so we faced difficulty locating it initially. However, Hotel Alpine Heritage turned out to be a superb hotel. We took rest at the hotel that night. This morning we had breakfast at the hotel and at around 9 am we left for Kufri. 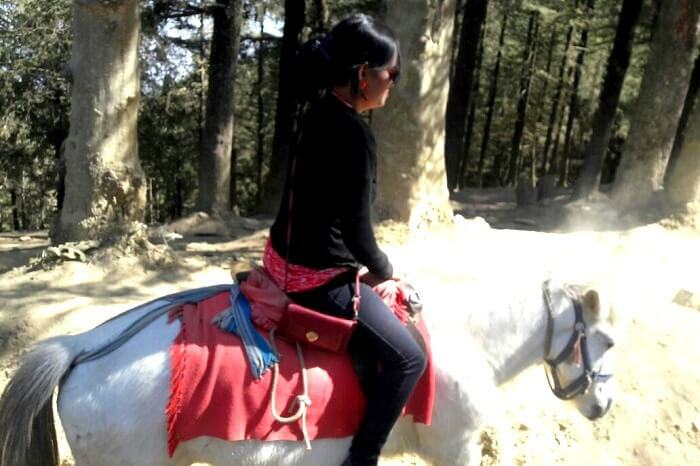 After a point when roads become inaccessible, we had to ride a horse to go to Kufri which was the most exciting part. 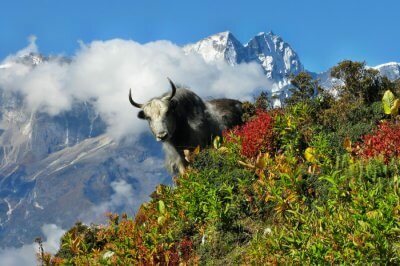 We encountered some Yaks and did some photography. Post lunch, we went to see the apple garden, which was an absolute treat. As the day turned into night, we returned to Shimla and went for shopping at Mall Road. As always, the hustle-bustle of Shimla mall road got us into a pretty intense round of shopping. Afterwards we rested at the hotel. Early in the morning, we checked out of the hotel and at 7 am we left for Manali. On the way to Kullu we did Rafting which was the most adventurous part of the trip. The water was icy cold considering the time of the year. The experience surely gave me an adrenaline rush! After rafting, we had lunch at Kullu and did some shopping. We bought Kullu shawls and winter wear and at 8 pm we reached our hotel Snow Country. 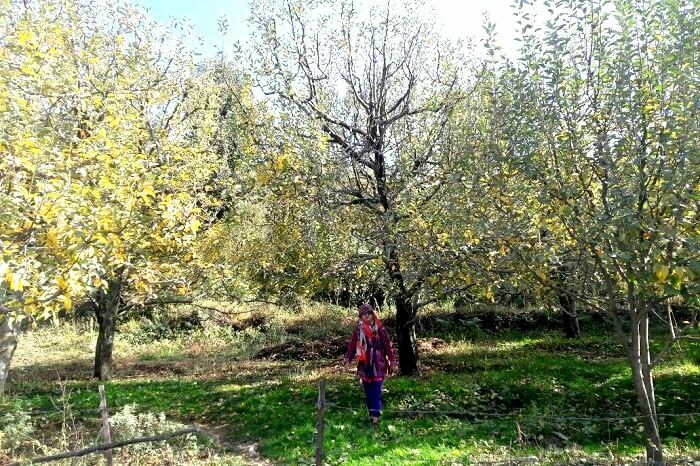 Although the hotel was out of the city on Naggar Road, it was an excellent hotel with amazing staff. We checked in at 9 pm, had buffet dinner, and took rest for the night. In the morning we had breakfast at the hotel and left for Solang Valley. This was again a major attraction of the trip. We reached Solang at around 1 pm and had a superb lunch before heading for Paragliding. My wife took part in paragliding and instantly took a liking to it. She was very happy flying in the air like a bird. We did some photography too. While returning from Solang, we visited the Heem Valley where there was a cultural program promoting local music and artists. We returned from there and went to the Mall Road for some more shopping as my wife simply couldn’t get enough of it. Later, we had dinner at a restaurant at 8 pm and proceeded to the hotel to call it a day. 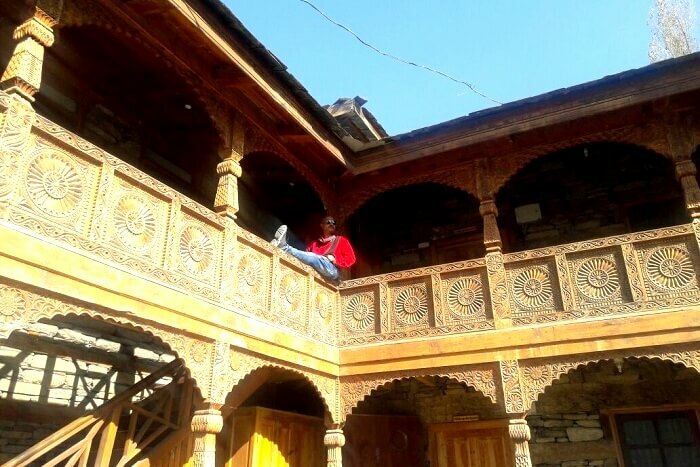 In the morning, we had a plan to visit Naggar Castle, but since my friend was not feeling I decided to go with just my wife. 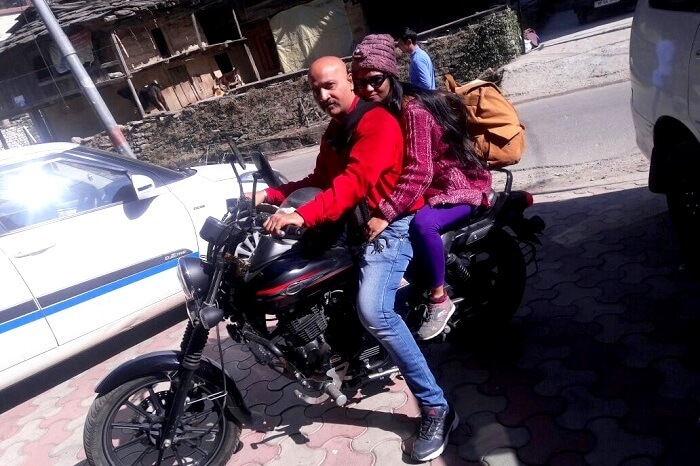 I got a bike from the hotel and went to see Naggar Castle with my wife. It was the best part of the trip, as I got a chance to ride with my wife and spend some quality time with her. 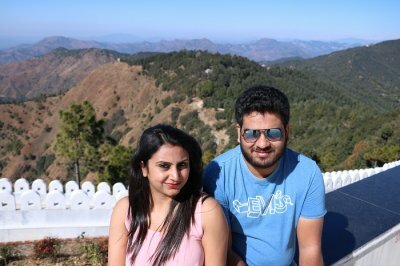 I would recommend that the trip organizers conduct one day bike rides for couples as part of all Himachal honeymoon tour packages. Meanwhile, we got to know that out friend was now feeling better, so he and his family met us directly at Hadimba Temle from where we all went ahead to the river bed. At 8 pm, we left for Mall Road and indulged in even more shopping. Post dinner, we returned to the hotel and called it a night. The next morning at 6 we left for Rohtang Pass. On the way, the driver suggested we put on Dangri (Clothes worn to protect oneself from snow) and whole boots. It was funny that we were made to wear these despite the absence of any snow. 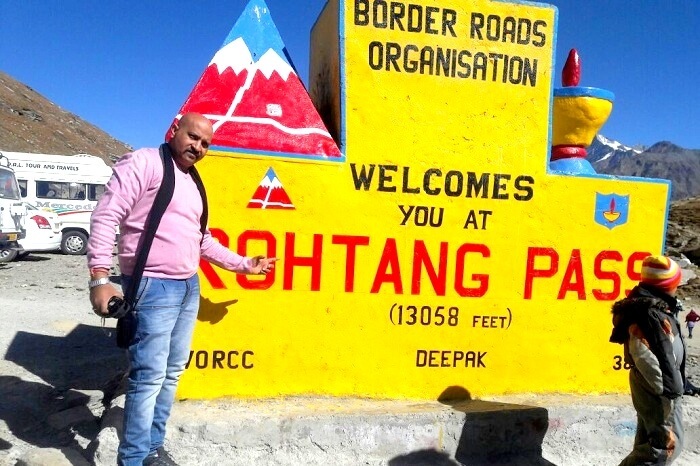 We reached Rohtang at around 1 pm and took pictures of the scenic place. Around 3 pm, we went to a partially frozen lake only a few km away from where we were. The views at the lake appreared to have come right out of a movie scene. I wished I could see the lake during summer but I was happy its frozen version for now. After a day packed with activities, we were damn tired. We returned to the hotel at 7 pm and retired for the night. On the final day we got somewhat late due to the fatigue of the previous day. 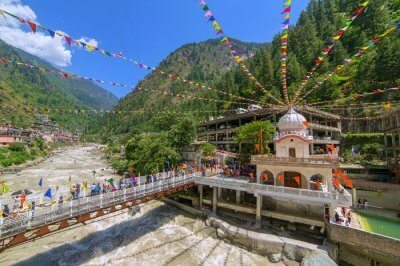 We checked out of the hotel in Manali and stopped for yet another round of rafting in Kullu. 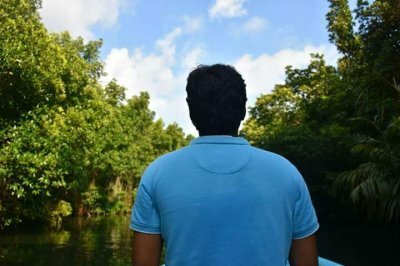 Indulging in adventure activities was just an outlet for me to release my pent-up energy and make things count on such a special trip. All the rafting experience made us all the more hungrier. Post lunch, we resumed our drive back to Delhi which became a bit of a struggle as our flight was at 5 am in the morning. But the driver was an expert and he safely dropped us at the airport at 3.30 am. Traveling has always been the best way of gaining new perspectives, new points of view about leading your life. I met so many people along my journey and they all influenced me in some way or the other. Traveling with my wife and friends made me simply forget about my petty problems for a small amount of time and understand that there are a lot of people who are struggling for bare necessities in life. 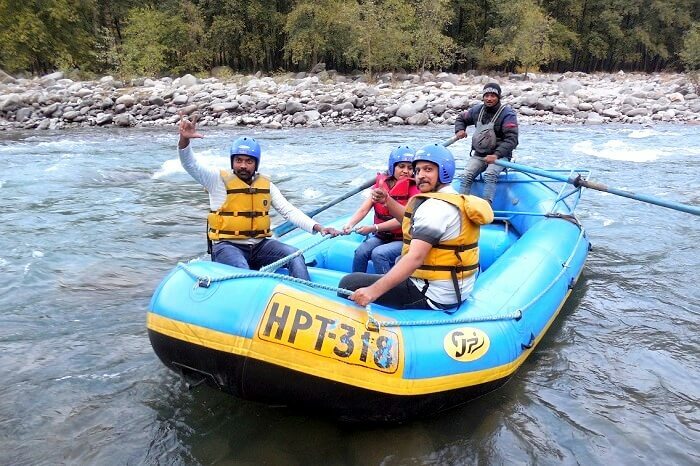 Rafting in Kullu was a fun filled experience which I would love to do again. 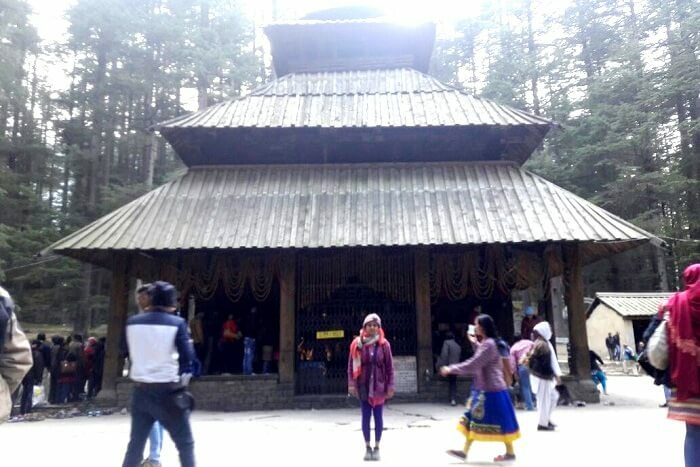 My wife wanted to spend some time visiting the churches of Shimla but we couldn’t. Take risks and enjoy all the activities to the fullest while traveling. Live the adventure that awaits you! 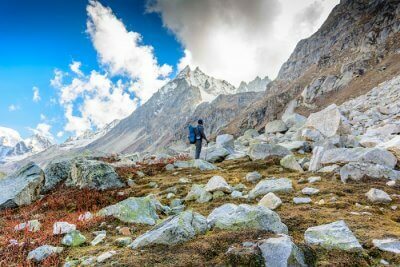 Book your package to Himachal and witness the hills like never before!